DIS running in the leadup to their Disney+ announcement. NFLX with resistance at 380, it has not retaken that level in the last 2 earnings reports. It has just moved sideways all quarter. They report next week, so it will soon break one way or another. Eye on WDFC report this afternoon. OldFart and Onepoint272 like this. 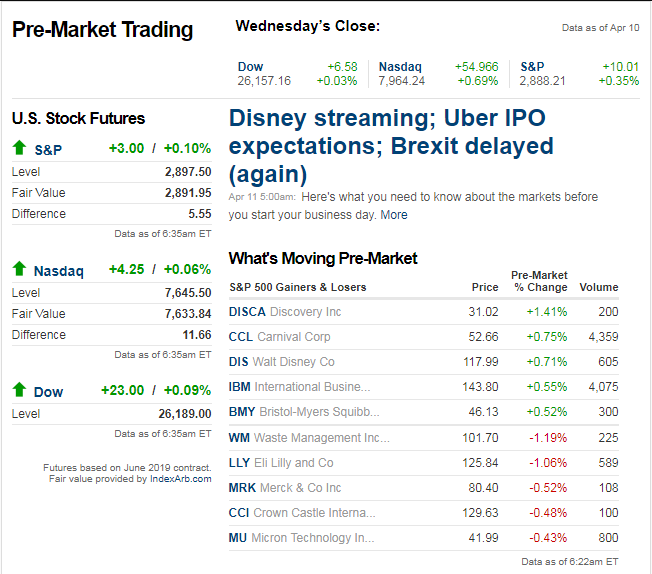 Cramer closed yesterday's show saying he could smell a chip downgrade coming. There was a story yesterday morning about someone in China wanting to eliminate Bitcoin mining. An amendment would need to be passed. Code for his friends at Goldman told him! 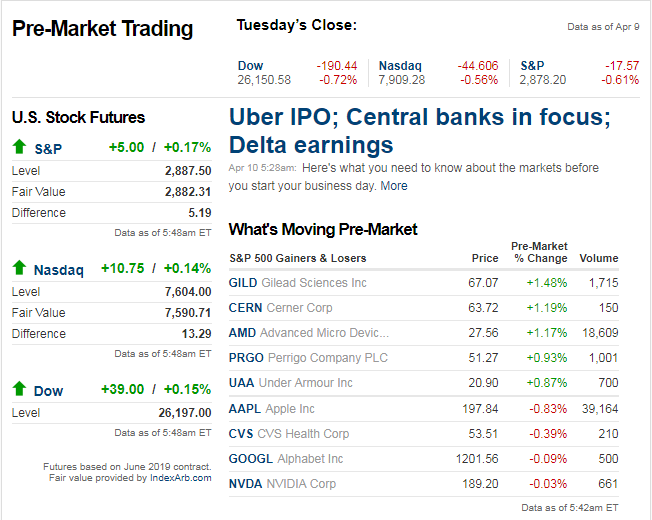 Nice bounce back by small caps today, ready to move higher with the rest of the market. Interesting statistic I just came across this afternoon in my brief afternoon reads. 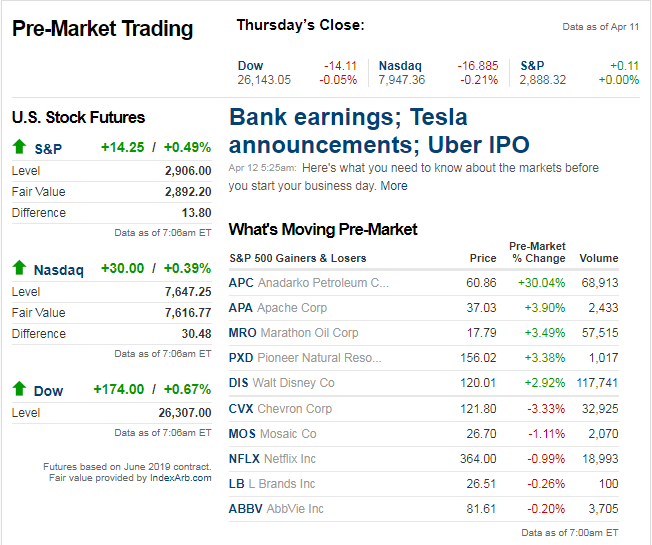 This isn't market-related but thought it was worth a quick mention in here. 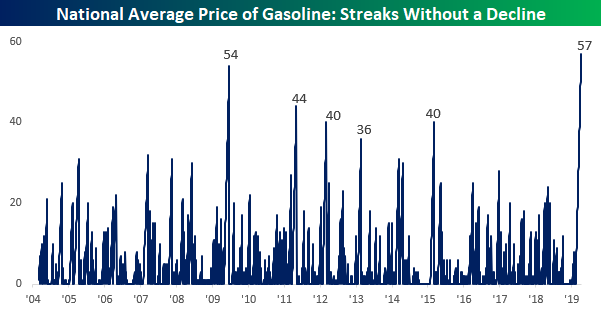 Gas prices nationally have risen for 57 consecutive days w/o a decline. That actually breaks the previous high of 54 back in '09 which was an all time record high. Crazy. @OldFart if you are out there reading this...I guess no road trips with the Hummer this summer for yours truly. 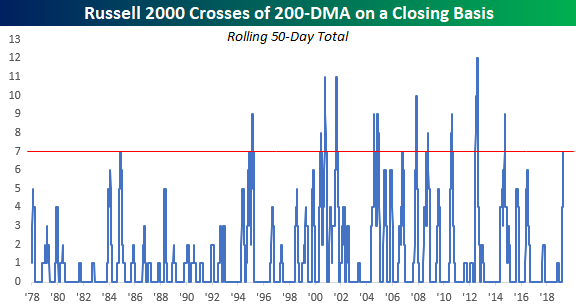 yesterday was the 7th time in a row that it has crossed the 200ma on a closing basis. 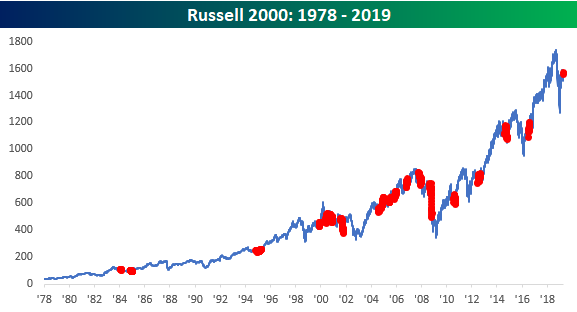 worth noting that the most ever was 12 in row from back in 2012.
not sure if we can glean much from that and try to interpret what the indecisiveness is telling though, but i did stumble across this chart too that shows in red dots the instances we've seen 7 or more trading days of the 200ma cross over back and forth in the russell 2k since 1978.
the new cycle low in initial claims may be another thing that might support the bull case for new ATHs in the SPX at some point this year. 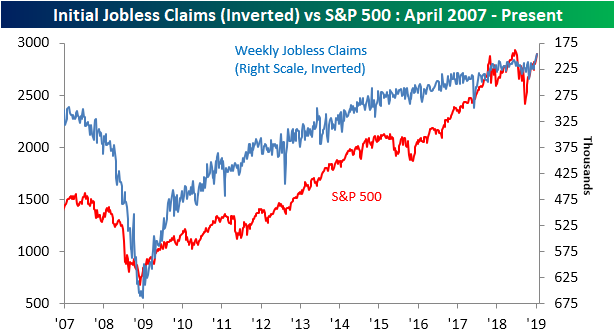 claims and the SPX have essentially mirrored each other since bottoming following the financial crisis. 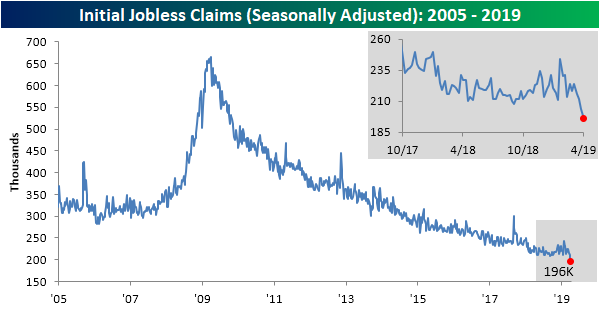 here's the chart of claims (inverted, blue line) along with the SPX since '07.